Calling on Golin’s “Communicate to Win” approach to corporate communications, Scott Farrell works with his clients to develop and sustain corporate brands and reputations that distinguish companies from their competition, engage stakeholders in positive action and drive bottom line results. Much of Scott’s work takes place in the international arena, having implemented or directed campaigns in more than 30 countries around the world. He also is a leading expert in the area of crisis communications and issues management and was named by PR Week magazine as a “crunch-time counselor”— one of the industry’s top people that should be on speed dial when crisis strikes. Among the clients Scott has served are Boston Scientific Corporation, Dial Corporation, Discover Financial Services, The Dow Chemical Company, FIS Global, Glaxo SmithKline, Infosys, Lowe’s, McDonald’s, McGladrey, Mead Johnson Nutrition, Nestle Purina, Nokia, SC Johnson, The Hartford Insurance Company, TransUnion, Underwriter’s Laboratories, and Wm. Wrigley Jr. Company. Scott joined Golin in 1997 to direct the Chicago office’s corporate communications unit. Prior to that Scott led corporate and consumer brand marketing communications engagements for Cohn & Wolfe’s Chicago office. He also served as director of marketing services for Culligan International and spent 11 years with Burson-Marsteller in corporate and consumer communications work. Scott is a past president of the Chicago Chapter of the Public Relations Society of America and is a member of PRSA’s Counselor’s Academy. He currently serves on the Board of Directors for The Off the Street Club in Chicago, and on the Board of Visitors for the University of Wisconsin-Madison’s School of Journalism and Mass Communications. 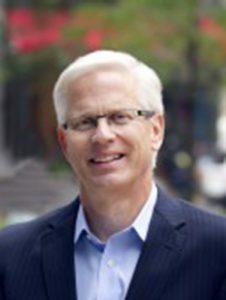 A graduate of the University of Wisconsin with a Bachelor’s degree in journalism and public relations, Scott has contributed to several college textbooks on public relations and communications measurement and is a frequent lecturer at Wisconsin, DePaul University, Columbia College and other universities. He’s also a winner of Wisconsin’s Nafziger Award for Professional Achievement and a second award for Distinguished Professional Service.